Just Cause 3 doesn’t come out officially until the 1st of December, but I guess we all know by now that street dates don’t mean much when it comes to triple A video game titles that everyone has been desperately waiting for. And because some players and a few online publications have already gotten their hands on the game, we get to know things about it that you only know once the game is released, such as how terribly it performs. Square Enix and Avalanche Studios are only a day away from rolling out what seems to be one of the most enjoyable and immersive sandboxes of the year. The upcoming sequel to 2010’s most critically acclaimed open world action-adventure video game is filled with chaos, explosions and lots of other stuff that Just Cause series is well known for. However, it looks like the game does have some issues that affect its performance on consoles. The report comes from our folks over at TheGamesCabin, who claim to have gotten their hands on the PlayStation 4 version of Just Cause 3. It suggests that while Just Cause 3 is a fun game with beautiful in-game environments, its terrible loading times and frame rate agitates its performance. According to the report, each time you die in the game, you have to face the loading screen, of course, and while it may test your patience for around 30 seconds, you’ll only be annoyed to see it not go away sometimes until before a couple more minutes. Note that the report says that the game was tested with and without the day one patch, which is supposed to improve its performance, but there was no apparent difference. Avalanche Studios had announced that Just Cause 3 will run at 1080p/30fps on PlayStation 4, but according to the site, “it rarely manages to maintain a steady refresh rate.” Frame rate drops whenever there is explosion or a lot of objects on the screen. The game also stutters when you are driving in-game vehicles, and what’s worse, even running around and rotating the camera makes the game’s frame rate struggle to keep steady. The pre-patch and post-patch gameplay is the same, as said before. Maybe Avalanche Studios will sort things out with another big update, we will only know about that once the game is out and people start complaining. Once again, this was all about the PlayStation 4 version of the game, but the Xbox One version is no better, having issues of its own, which we will write about soon. 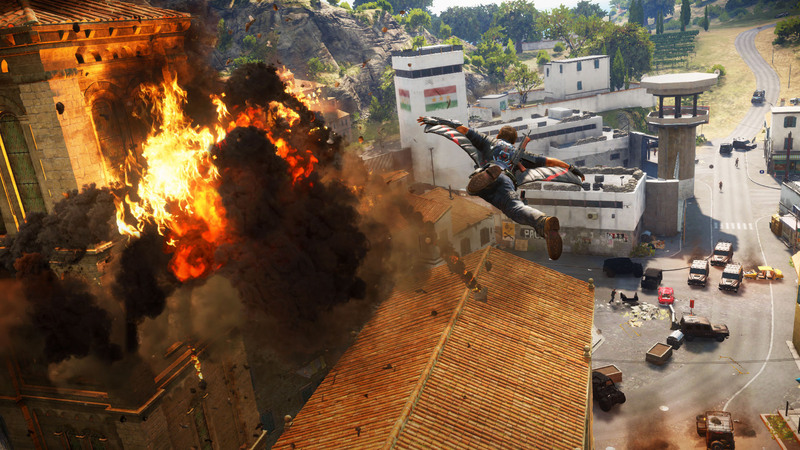 So, keep checking back for more updates on Just Cause 3.